The Endless Journey hospice experience will encompass the holistic philosophy in that the client and their family will benoursihed phyically, emotionally and spiritually as they prepare for the end of life and beyond. 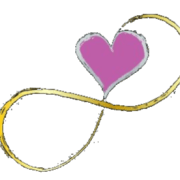 Endless Journey Hospice LLC is an independent, locally owned and operated hospice established in Omaha to serve the Omaha and Lincoln areas with an alternative for end of life care unlike those currently offered by the medical field. The primary objective is to empower clients and the community throughe ducation and to offer holistic interventions to provide comfort and dignity throughout the dying process. Endless Journey embraces the client and their loved ones as they approach the exhaustion of effective aggressive treatment by offering emotional support and education related to disease process and treatment options to improve quality of life. Like all hospices, we proide services to clients wherever they live. This is provided through the tradition hospice team of nurses,health aids, chaplains, social workers, and volunteers in addition to the holistic providers and a full-time nutritionist.